Discussion in 'transmission and Drive train' started by chromebumpers, Dec 1, 2015. I see all these posts on picking ratios and which is the strongest but what about making old rears fit new builds? Note: These questions and answers could vary depending on application. details and questions may need to be reworded to be understood. Where do you begin? Ads are full of rears for sale, when can they work for your application? I have an idea that welded brackets can be cut off and new ones added but how far does that go? 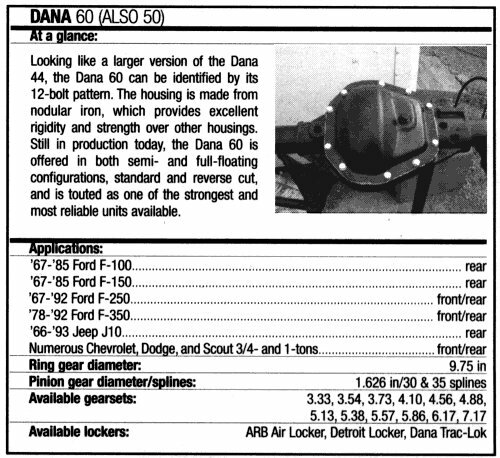 We all know by now Dana 60 diffs are strong and preferred and Lots of used Dana 60 diffs with axles, usually from the front of a Ford truck are found for sale, are these modified for rear use by refitting axles and tubes? Is there such a thing as a rear too big or too heavy to use in a muscle car build? Those old GM 9.3" rears are supposed to be really strong, Ford 9" rears too, is it worth altering for a custom application or is it better just buying a new rear made to order from the factory? 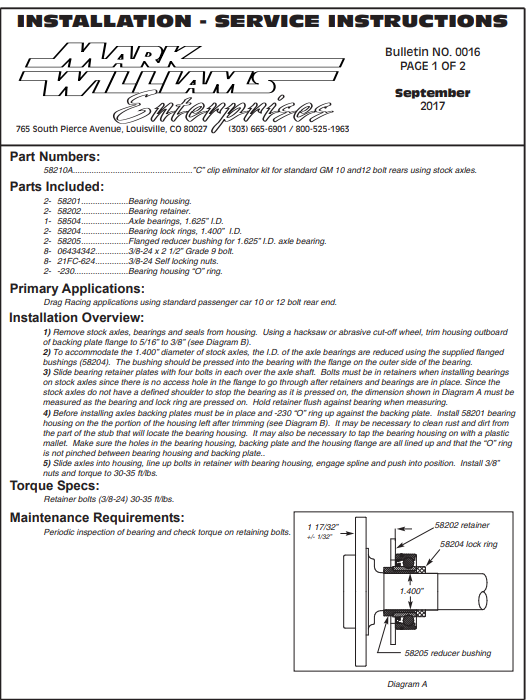 All these questions are assuming fair welding experience but no heavy equipment is owned or have access to, such as a mill or a lathe. Please expect I'll be commenting after many of you replies and Re-ask questions above, I find that in the majority of multi layered questions, only the first question is either read or answered (perhaps It's better to ask one at a time). the axles and universals all make that either difficult or physically or modifying them ,financially, or a mechanical nightmare. My 2500HD looks like the full floating rear pictured and I gather this is the strongest, but I never saw that huge hub on a muscle car? I don't remember seeing 8 lugs and huge hole in the center for the hub on any muscle car rim? 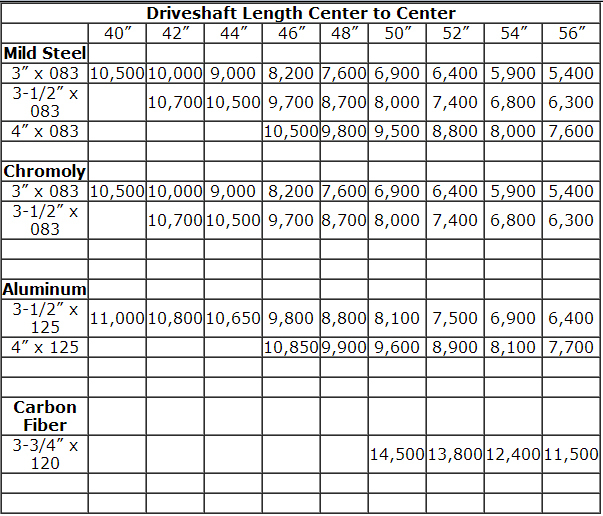 So the Dana 60 is a strong rear, does that automatically include the axle shafts? (Are the axles on par with the differential). 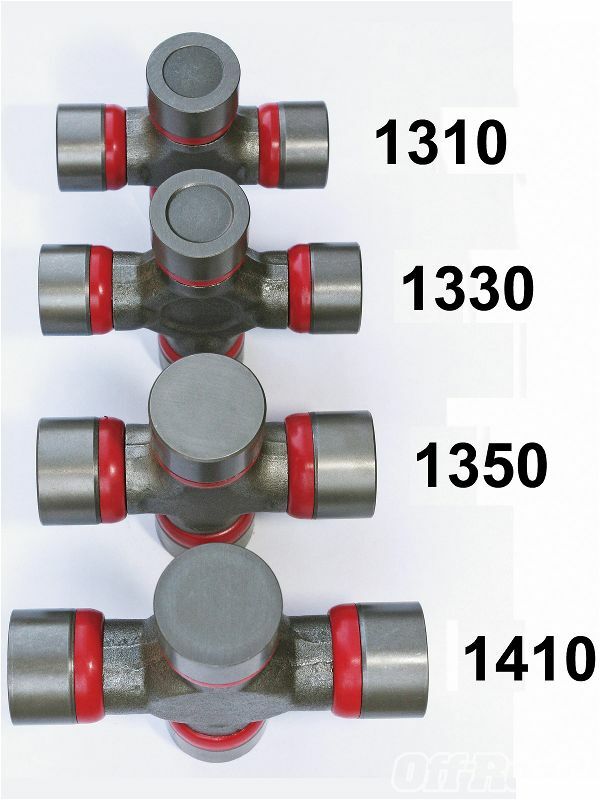 u-joints with internal grease passages are a bit weaker than those with solid cores but keep in mind the metal allow and heat treatment and over all quality also matters, Id also point out that in most cases you can upgrade the components, in both size and quality. I've boiled down the GTO motor dilemma to just a couple of ideas to get the job done. Locate a good machine shop that favors Pontiac motors. Looking at a 1968 to 1970, high hp 455 block, purchase and assemble a package consisting of a good pair of high flow heads, crank and intake from the machine shop and have them do all the machining possible. Bring home everything and assemble everything myself. This would allow me to take pictures during assembly. Not my first choice but it gets it done. Anyway I go I still need a capable drive-train from the flywheel back to hold up now and in the future when mods are installed. Chevy 10- and 12-bolt axle assemblies have been standard equipment on GM passenger cars, muscle cars, and trucks for decades. 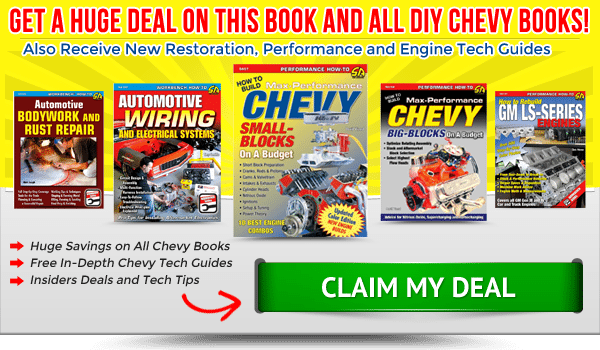 The rugged, reliable, and efficient Chevy 12-bolt has established itself as the preeminent rear differential for GM muscle cars since its debut in 1965. However, the smaller 10-bolt unfairly gained the reputation as a weak and inadequate rear end for high-performance applications. But there are several models in the 10-bolt line-up. The smaller 7.5- and 8.2-inch 10-bolt rear axles can’t transmit horsepower loads in excess of 400 hp. However, the 8.5- and 8.6-inch 10-bolts are extremely stout and effective rear differentials that can transmit up to 1,000 hp to the rear wheels. The GM 10-bolt rear end is quite possibly the most misunderstood and undervalued rear differential ever created. Even though it has been used in every major GM rear-wheel-drive platform, the 10-bolt has a bad reputation for being a low-performance unit. Nothing could be further from the truth. The 10-bolt can handle just about anything you throw at it, as long as you use the right axle, either the 8.5- or 8.6-inch. That is the great caveat; there are four sizes of 10-bolt GM rear ends: 7.5/7.625-, 8.2-, 8.5-, and 8.6-inch. These sizes refer to the diameter of the ring gear, and the one you use makes a big difference in the performance potential. The 8.5- and 8.6-inch provide superior performance and have a larger ring and pinion gear surface to handle high horsepower. Also, these surfaces run cooler because of their sheer size. You need to be able to accurately identify the GM 10-bolt. Therefore, you need be able to choose the more desirable 8.5- or 8.6-inch and avoid the smaller 7.5/7.625- and 8.2-inch units. 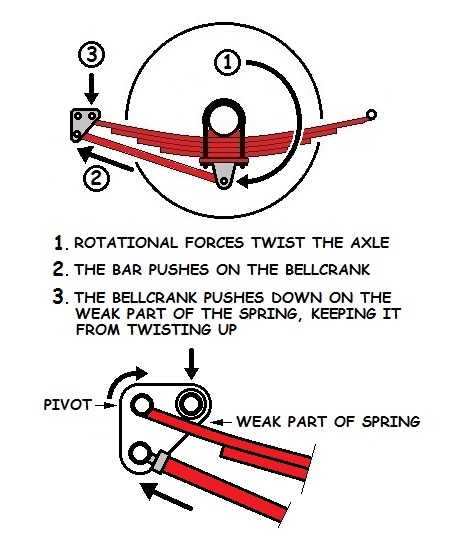 Identifying the 10-bolt axle is easy. The nomenclature actually refers to the number of ring gear bolts. The outer cover matches; 10 bolts hold the cover onto the housing. 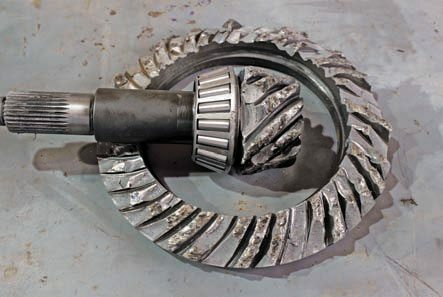 This ring-and-pinion gear has suffered catastrophic failure. Be sure the mesh is correct and that the installed parts are correct so you don’t destroy components. If you take off the center section cover and discover this kind of damage, you need to identify the cause so you don’t repeat this type of failure. The key to identifying the 8.2 is the shape of the housing and the spacing between the lower bolts on the cover. The 8.2 has a smooth, round lower case area, with an 11-inch cover that has a diagonal indentation at the top or a 105/8-inch irregular-shaped cover. 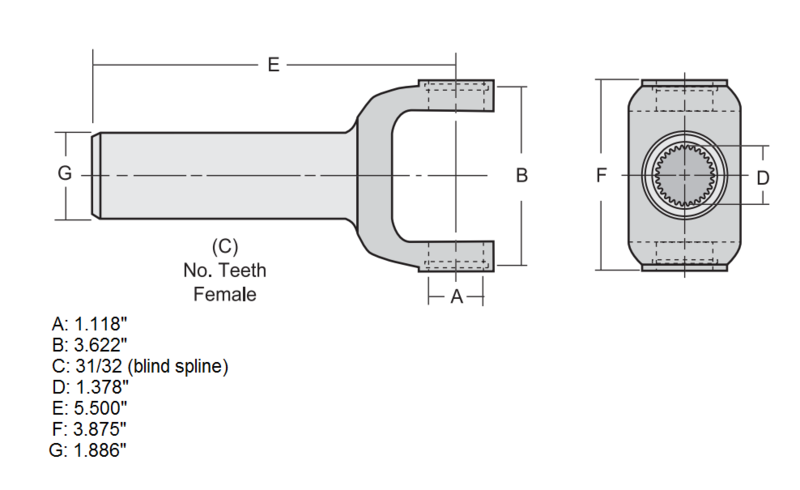 The pinion nut should measure 11/8 inches, as long as it is the OEM pinion nut. Inside the 8.2, the ring gear bolts have 9/16-inch socket heads with 3/8-24 threads. The pinion diameter is 1.438 inches with 25 splines. The axles are retained by a set of C-clips on the inner end of the axle shaft inside the carrier. Most 8.5-inch 10-bolts have two lugs on the bottom of the housing at the 5 and 7 o’clock positions. These should be square blocks, each with the outer side 90 degrees (vertical) to the road and the bottom-side surface horizontal to the road. 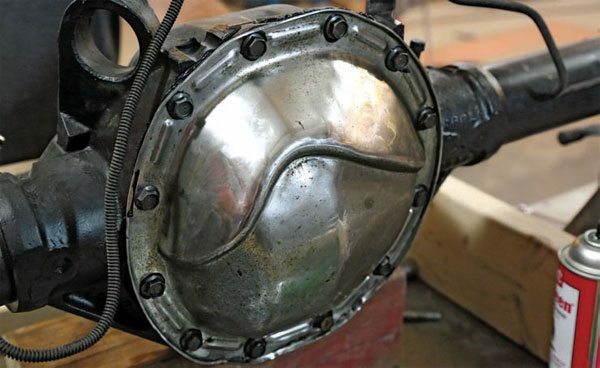 The covers are often 11 inches round with a bulge on the driver’s side for the ring gear or a 105/8-inch irregular shape with the same bulge. The distance between the lower cover bolt and either adjacent bolt is 33/4 inches. The pinion nut is 11/4 inches. The 8.5-inch differentials have 103/4-inch hex head bolts with 7/16-20-inch left-hand thread or reverse-thread bolts that hold the ring gear to the carrier. 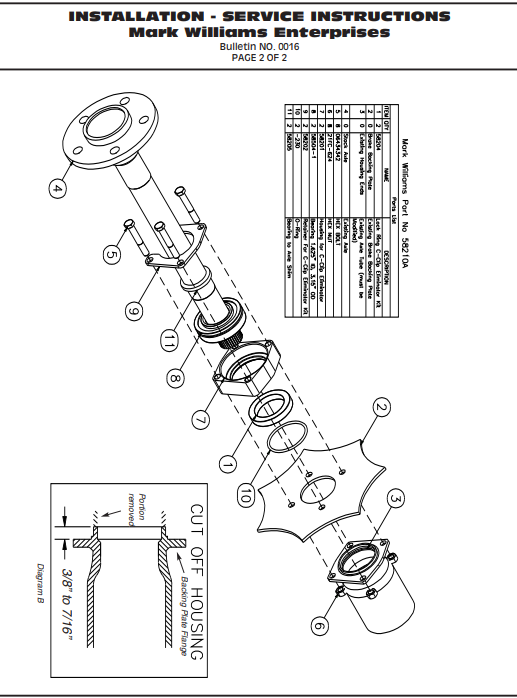 The pinion shaft diameter is 1.625 inches with 28 or 30 splines, which is the same as the GM 12-bolt design. 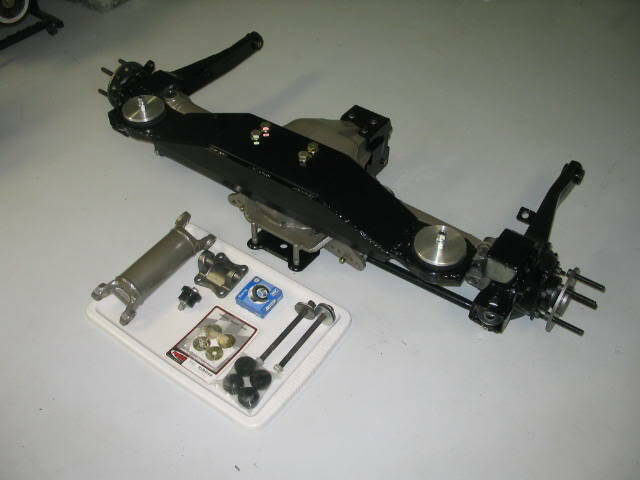 Most 8.5 10-bolts are C-clip axles, so a set of C-clips retains the inner end of the axle shaft inside the carrier. Buick and Oldsmobile bolt-in axles mount at the bearing flanges on the housing ends. They retain the axle shafts in the event of a failure. The four bolts that hold the drum back plate on also retain the flange. Note that this axle has been converted to disc brakes. Bolt-in axles include (right to left) the axle, retainer plate, split washer shim, press-on bearing, and housing end. 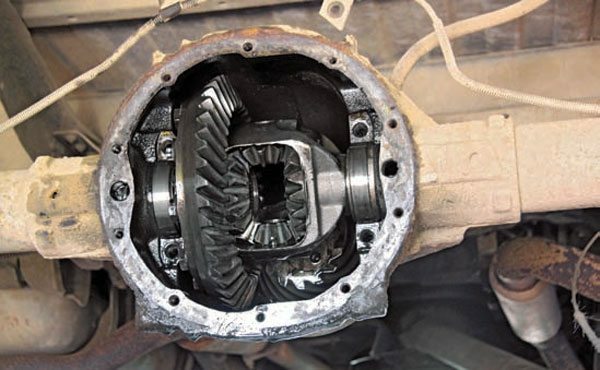 To remove the axle shafts, you need to remove the four bolts. 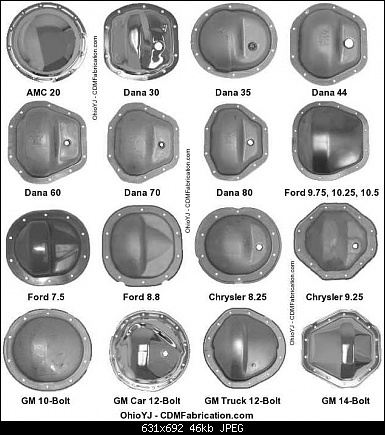 The rear cover’s shape and the number of bolts are identifying features for GM rear differentials. The round 10-bolt cover with a bulge for the ring gear identifies this axle assembly as an 8.5-inch 10-bolt. The two lugs on the lower case at the 5 and 7 o’clock positions are also identifying features. The 8.2-inch differential does not have these lugs. 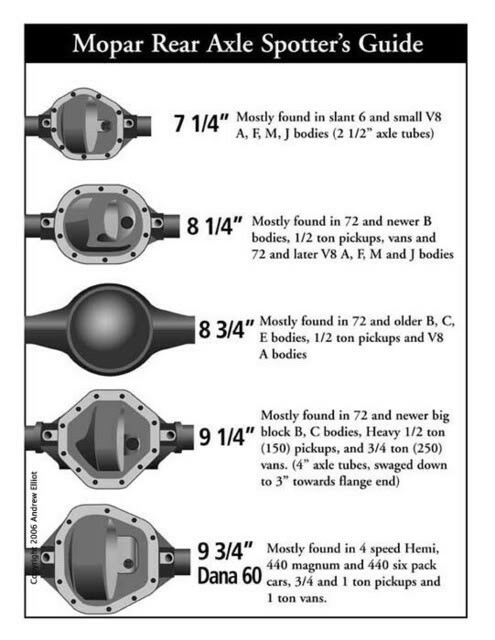 A pair of long flat areas on the front side of each axle tube is a clear indicator of an 8.5-inch Chevy 10-bolt. To help you identify the 8.2-inch housing, remember that it may have an irregular-shaped cover or a round cover, but it does not have lugs as on the 8.5-inch. 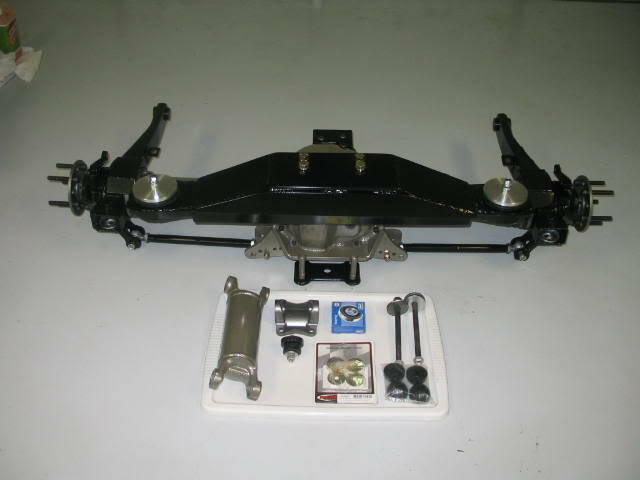 A variant of this axle assembly was used in 1971–1972 Buick GSs and Skylarks, Oldsmobile Cutlasses, and some 1969–1972 Pontiac Grand Prixs, as well as the 1970–1972 Monte Carlos. These axle assemblies had bolt-in axles and were used sporadically in A-Body wagons as well. These are highly sought after, and as such, are hard to find. In this version, the axles bolt to the housing ends just as on a Ford 8- or 9-inch. 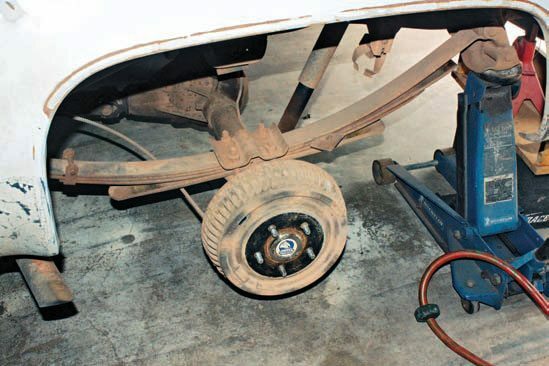 This means that in the event of an axle break, the wheel stays on the car. 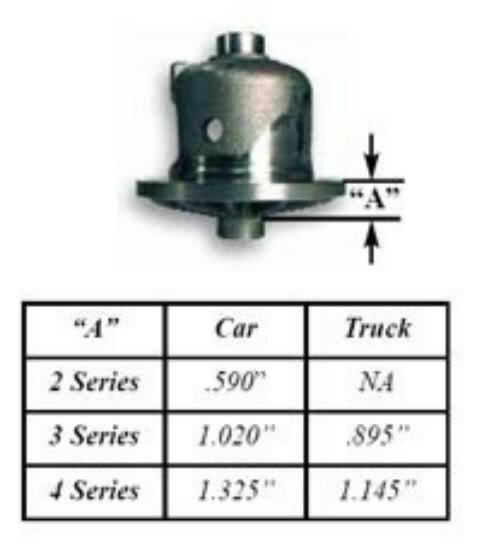 To positively identify the Chevy 10-bolt in the 7.5/7.625-inch size, you need to measure it because it is very similar to the 8.5-inch housing. The case has a similar pair of lugs at the base of the center of the housing, which are located at 5 and 7 o’clock. However, the 7.5-inch lugs are smaller, with the outer side running at an angle and the inner side cut with a radius. The oval-shaped cover measures 85/16 inches by 109/16 inches. The distance between the lower center cover bolt and its adjacent bolts is 31/4 inches. Inside, the ring gear bolts are the same as the 8.5 corporate unit. However, the pinion shaft measures 1.438 inches. The axles are retained by a set of C-clips on the inner end of the axle shaft inside the carrier. Although the 8.5- and 8.6-inch rear axles are more than capable of handling 400 hp (and with some setups a bit more), the 10-bolt name has a bad reputation due to the inherently weaker 7.5 and 8.2 designs. Because these two sizes are so common in pre-1971 (8.2) and 1975– 2002 (7.5) vehicles, the 8.5 is lumped into the same group. This design was used in all GM rear-drive cars from 1964 through 1972. The 8.2 was phased out starting in 1971; it was replaced by the 8.5-inch “corporate” 10-bolt, and was installed in everything from Camaros and Chevelles until the mid-1980s. It remained in the 1/2-ton trucks until 1999, when the 8.6 replaced it, using the same basic design. By far, the most common 10-bolt is the 7.5/7.6, and it has been around since 1975. It was installed on small trucks and vans up to the 2005 model year. 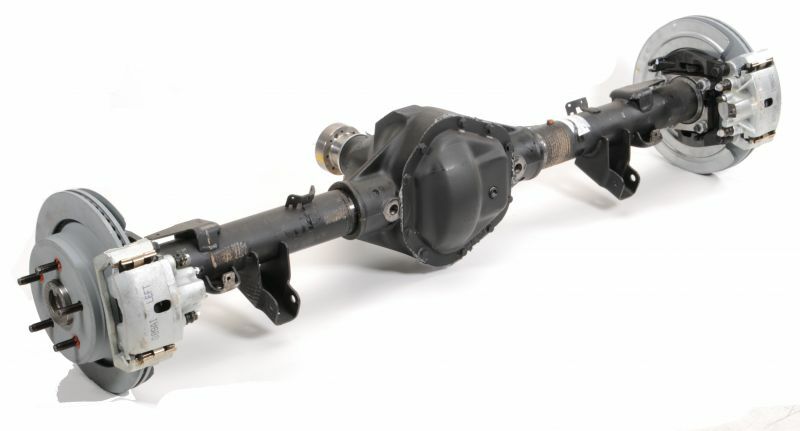 There is very little aftermarket support for this axle assembly because it couldn’t handle high-horsepower loads and therefore its performance potential was marginal. In street applications, the 7.5 is good for 350 to 400 hp with street tires and lots of wheel spin. When sticky traction bars and/or sticky tires were installed, owners found that 400 hp can quickly turn the 7.5 into shrapnel. In the final analysis, this axle is simply too small for high-horsepower cars, and so these axles should be avoided for most muscle cars and certainly any racing applications. Although gear sets and a locking differential are available, these are only suitable for a mild street engine or possibly a dirt track car. In the world of dirt track racing, some classes require a GM 7.5-inch 10-bolt and because there is no traction on dirt, this rear works very well. 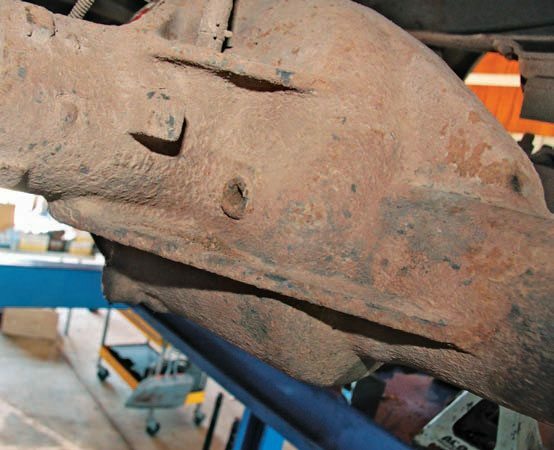 Millions of 8.2-inch axle assemblies were built and many can be found in salvage yards. And like the 7.5 axle, it has a fair amount of aftermarket support but the ring gear is too small and therefore it cannot handle much torque. 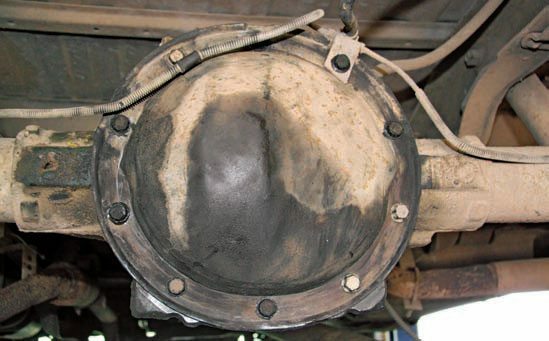 If installed on a 400-hp or stronger engine, it often fails. And unfortunately, there simply isn’t enough room to install bigger axles, so it isn’t a viable option for a high-performance car. 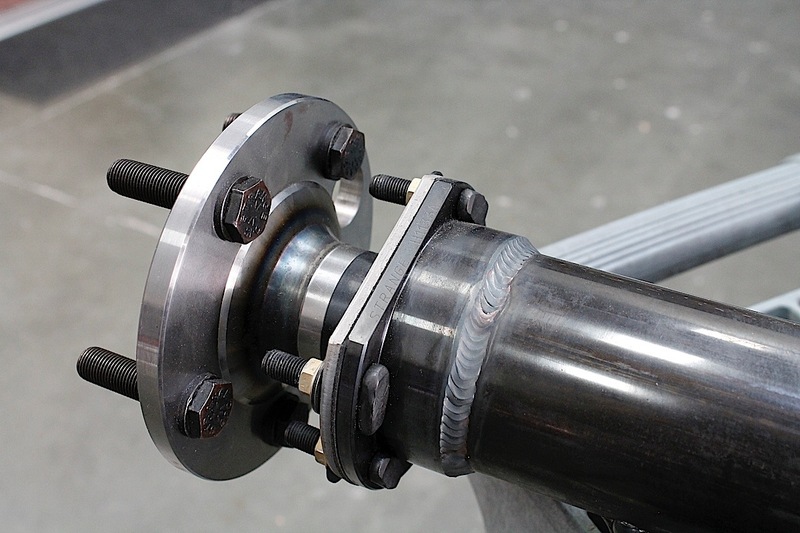 To support high torque and horsepower loads, the axle shafts need a larger diameter and spline count. Combined with the small outer bearing races, the 8.2 is limited to 28-spline axles. For performance vehicles, the 8.2 can typically handle up to 400 hp with street tires, but that’s the limit for this axle. 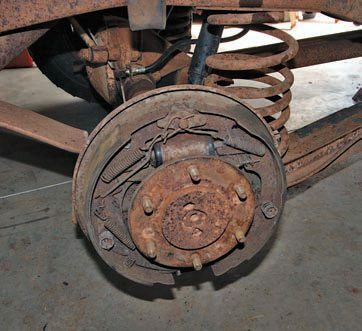 If you bolt on even a set of drag radials, the axles bend or break, along with having the potential for breaking the gears and carrier themselves. You can build these for performance, but if you use sticky tires, the superior traction and consequent strain from the grip will kill it quickly on the drag strip. There are temporary fixes for the 8.2, such as a carrier girdle, but they don’t provide a reliable and suitably strong solution. 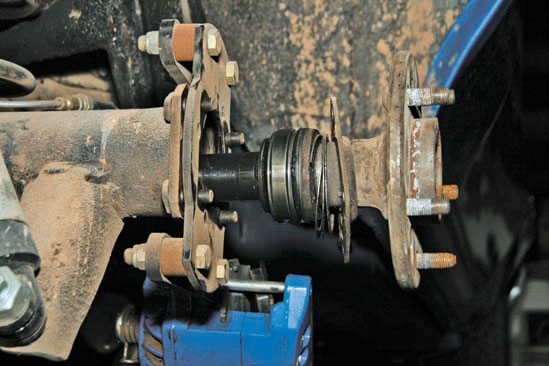 When too much torque or traction is fed through the axle, it will eventually break the axle. The 8.5- and 8.6-inch 10-bolts have larger ring-and-pinion gears, which makes an important difference. 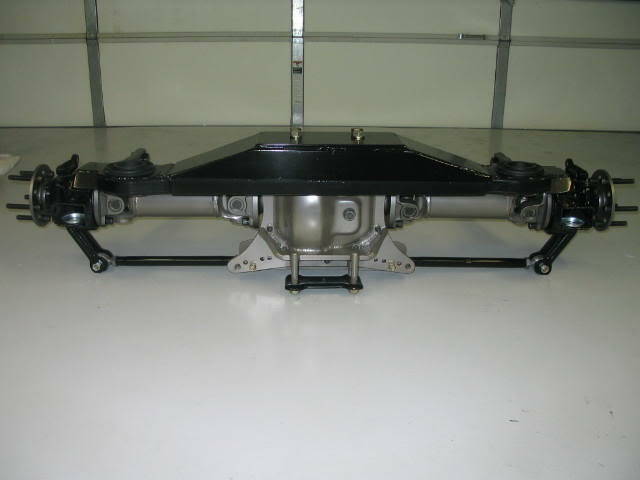 These rear axle assemblies can handle up to 400 hp. Among the Chevy 10-bolt family of axles, these provide the best performance and durability. The car versions were in production from 1971 to 1987. 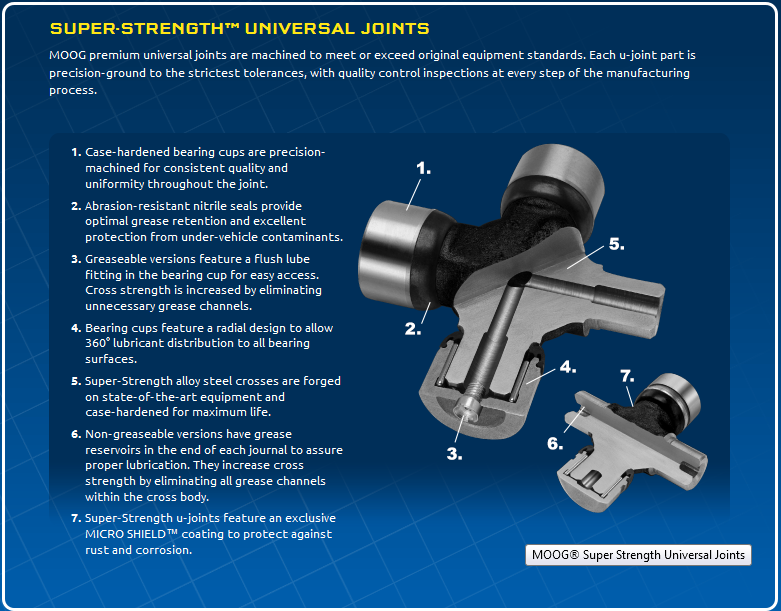 General Motors has been using this axle assembly in cars for 16 years and in 1/2-ton trucks for 30 years. The 2010-up Camaro uses a similar design (8.6 10-bolt) in the center section of its independent rear suspension. The 8.5 is limited to 30-spline axles, but can withstand 1,000 hp with slicks when properly built. The factory installed the 8.5-inch 10-bolt in the Buick Grand National, and that’s the biggest claim to fame for this OEM axle. In stock form, the 8.5 can support wheel-standing launches from the turbocharged 6-cylinder. 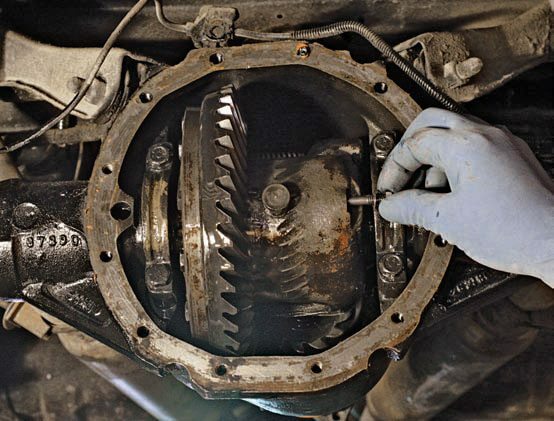 At just 3/8-inch smaller than the 8.875-inch 12-bolt differential, the 8.5-inch ring gear is strong enough for high-performance applications. The aftermarket fully supports the 8.5. Gears of all sizes, limited-slip or Posi-Traction, lockers, and spools are offered. Affordable performance is what the 8.5 is all about. Considering the challenges of the typical 12-bolt swap for most muscle cars, when the 10-bolt units are often a bolt-in swap, the 8.5 10-bolt starts to look really good. 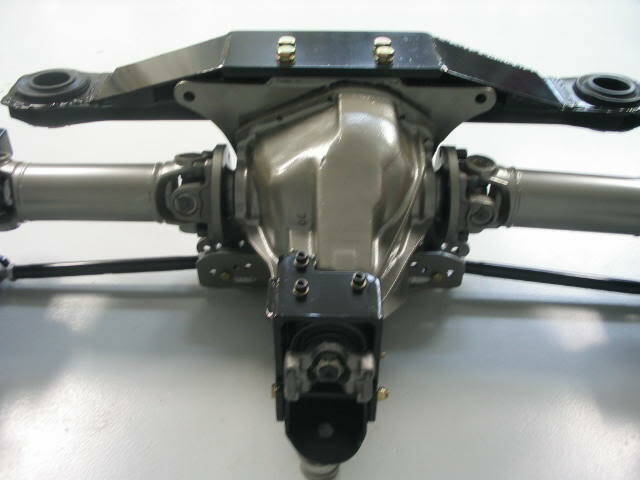 Several differential carriers are offered for the 10-bolt axle assemblies. However, only certain gear sets are offered for the carriers, especially if you change gear ratios. Typically, 10-bolt carriers are specific to a series of gears. A 2-Series carrier holds 2.56:1 and higher gears (numerically lower) such as 2.41. These are very high gears, good for top speed, not for off-the-line performance. The 3-Series carriers are good for 2.73 and lower gears, so 3.08 and 3.73 gears work well. In this photo, you clearly see the clutch packs with springs, so indeed these are limited-slip differentials. 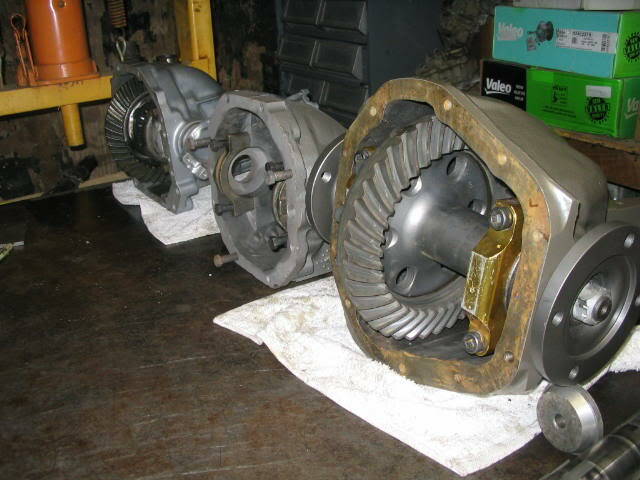 A Yukon aftermarket clutch-type limited-slip differential is on the left; the GM Posi-Traction differential from a 1971 Buick Gran Sport 8.5 10-bolt is on the right. As you can see, the Yukon casting is much thicker and so are the springs. The stock axles for both Chevy 10- and 12-bolt differentials use C-clips unless you have one of the rare bolt-in axle units. A small bolt in the center of the carrier retains the crossbar. 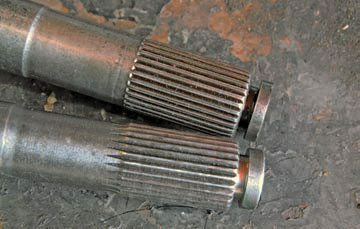 The C-clips are not the strongest method for retaining the axle shafts; many owners convert the Chevy 10- and 12-bolt axles to a flange type, which retains the axle if it fails. To remove the C-clip, you push the axle in to allow room to snag the C-clip with a pick. Once the C-clip has been removed, the axle slides out of the housing. 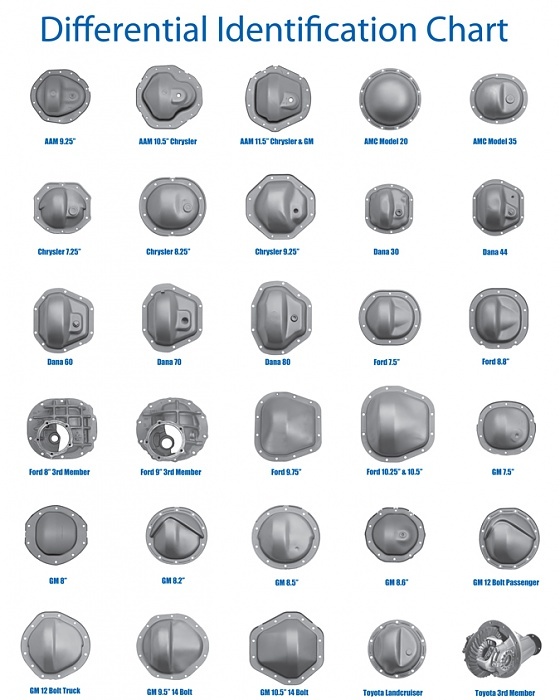 The placement of the casting numbers on an 8.2-inch 10-bolt varies by year and model. 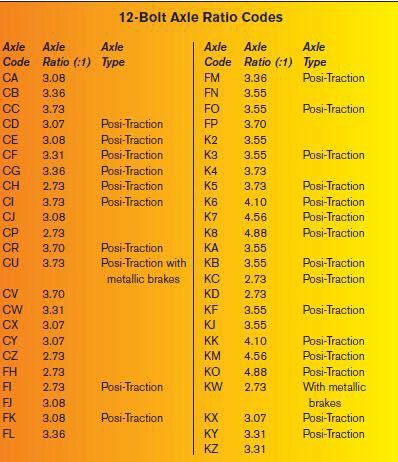 When you decode these numbers you can conclusively identify your axle. 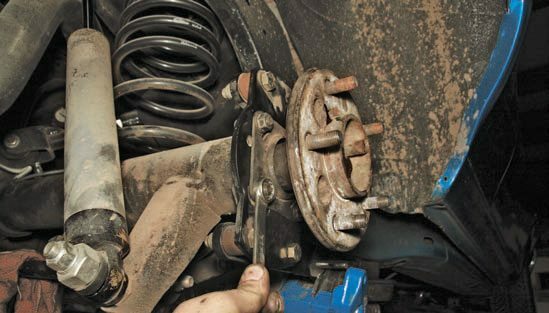 Engine torque and suspension loads are placed on the rear axle assemblies, which are also subjected to moisture, dirt, and anything the road can throw at it. 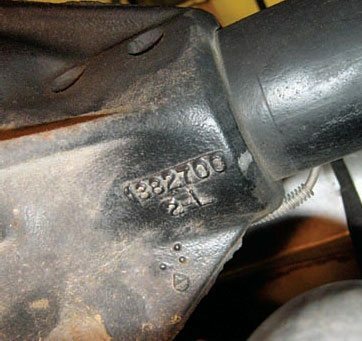 You may need to clean the rear housing before you can decode the casting numbers. You can simply clean the area around the casting pad, but a power washer and some hot soapy water can work wonders for 40 years of grime. 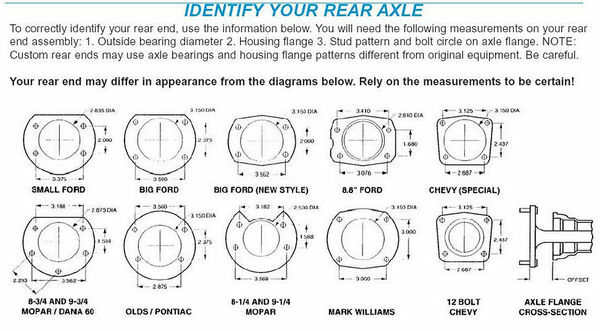 Before you rebuild any axle, you should identify which axle you have. 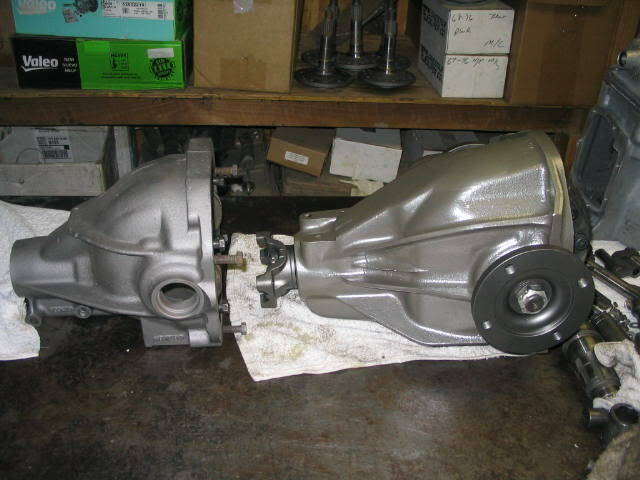 Once you have identified the housing, you must order the correct parts for the particular axle. 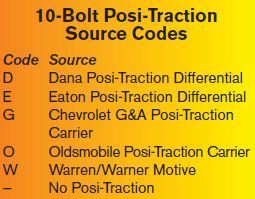 The casting numbers for 10-bolt rear differentials are typically located either on the forward side of the passenger-side axle tube or on the driver’s side. These numbers are approximately 3 inches from the center section. The two examples at right show you how to decode 10-bolt housings. 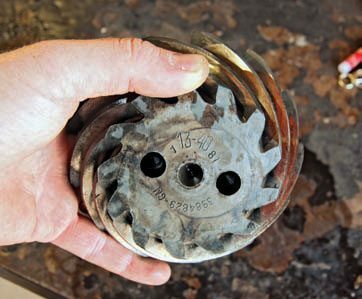 Gears are also “coded” with their teeth count; dividing the number of ring gear teeth by the number of the pinion gear teeth yields the ratio. A full range of pinion gears is offered for the Chevy 10- and 12-bolt axle assemblies so you are able to select the correct gear set for your vehicle, application, and setup. These are two pinion gears for the 8.5-inch 10-bolt. 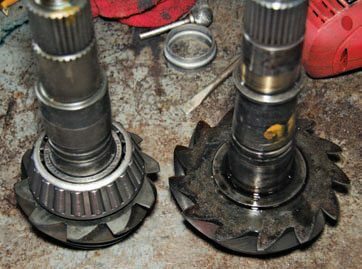 The pinion on the left is part of a 4.11:1 gear set; the one on the right is a 3.08:1 pinion. You can see the dramatic difference in not only teeth but in overall diameter. The tooth count is stamped on the head of each pinion for both the pinion and the ring gear. As you can see, 13 is the hypoid gear countfor the pinion and 40 is the ring gear count. Pinion gears and ring gears are not interchangeable because they are designed for the specific (correct) mesh. Therefore, the specified pinion and ring gears must be used together. The tooth count is stamped on the head of each pinion for both the pinion and the ring gear. 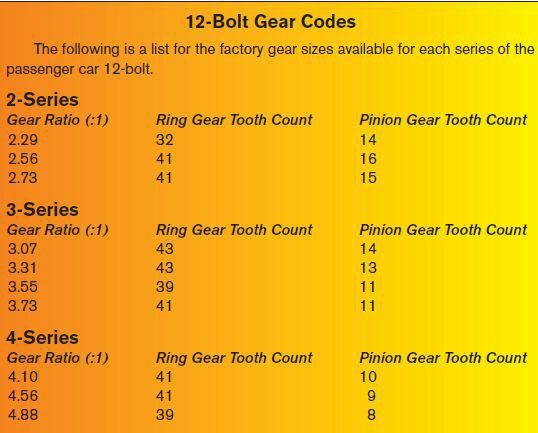 As you can see, 13 is the hypoid gear count for the pinion and 40 is the ring gear count. Pinion gears and ring gears are not interchangeable because they are designed for the specific (correct) mesh. Therefore, the specified pinion and ring gears must be used together. When it comes to GM muscle cars and sports cars, the 12-bolt axle has been the top high-performance axle assembly for decades. 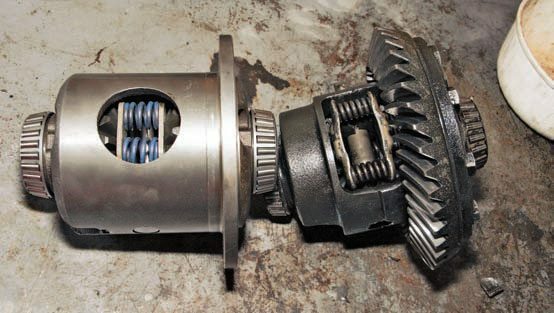 Compared to the Ford 9-inch, the 12-bolt positions the pinion gear higher on the ring gear. This reduces the load on the pinion, resulting in less parasitic loss from the friction and load. The 12-bolt was introduced in 1964 and installed in cars and trucks until 1972. From 1972-on, General Motors installed its 10-bolt in cars and it remained an option for trucks until 1987. Unlike the various 10-bolts, the 12-bolt axle assembly has different components for cars and trucks. 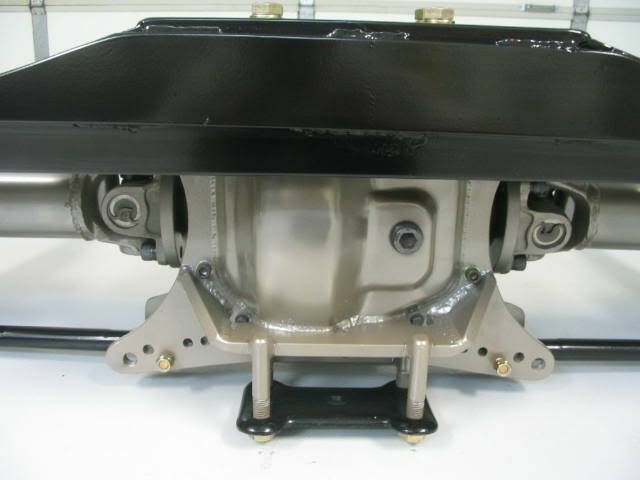 The passenger car 12-bolt has an oval-shaped differential cover, and it measures 1015/16x 105/8 inches. This 1967 Chevy truck used a trailing-arm design with coil and leaf springs. 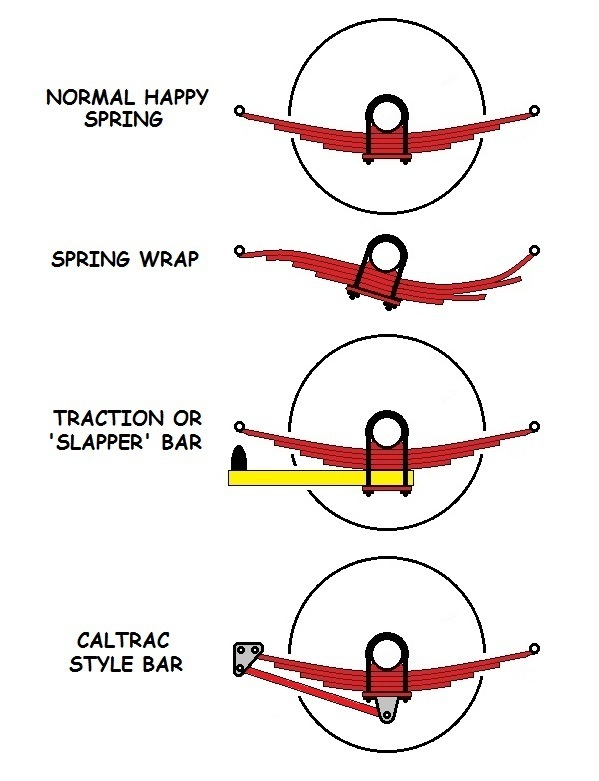 The half-leaf spring (left) serves as an overload spring for heavy loads or trailering. General Motors installed different axles for different applications. Axles for high-performance or heavy-duty applications commonly used higher spline-count axles while common passenger car axles use lower spline counts. The top axle is an 8.5-inch 10-bolt with 30 splines; the bottom axle is an 8.5-inch with 28 splines. Note the thicker head on the bottom axle where the C-clip rides. This is specific to the carrier. The carrier and axles must match. General Motors used several different suspension designs in their passenger cars throughout the 1960s and 1970s. This 8.5-inch 10-bolt came from a 1971 Buick GS. 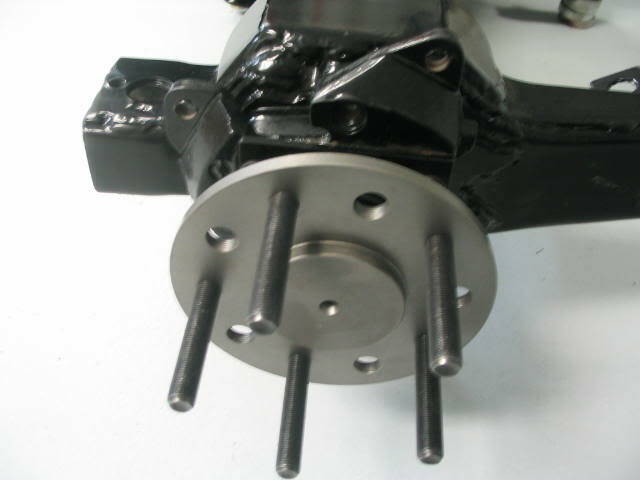 The large bushings at the top of the differential housing connect to the triangulated four-bar trailing arm system that the Buick used. 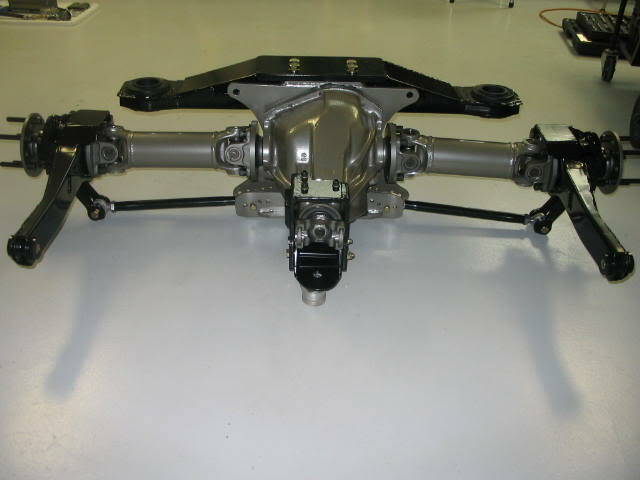 It is more difficult to swap these housings from car to car if they do not share the same suspension design. Camaros, Novas, and 1968 and later trucks used leaf springs like these. 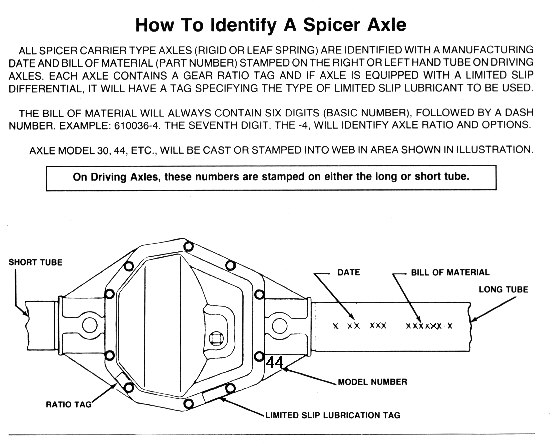 The axle may be over or under the leaf, depending on the application. C2 and C3 Corvettes (built from 1963 to 1981) used a non-standard 10-bolt design. They used an independent rear suspension with transverse leaf springs. As a result, these cars use a specialized axle housing for this suspension, and it’s not easily upgraded. You need to machine the housing to accept a 12-bolt carrier, which also requires custom axles. Essentially, the housing is machined to clear the larger gears and carrier, and it’s not a job for the novice. Trucks have a smaller inner pinion shaft (1.438 inches versus 1.675 inches) and bearing, and the pinion rides lower on the ring gear. In addition, the truck 12-bolt has an irregular shape. The early truck 12-bolts had large axle splines with only 12 splines. The differential carriers are also narrower than on the passenger car units, and they do not interchange. That does not mean that the truck units are not capable of performance builds because aftermarket 30-spline carriers and axles are available. 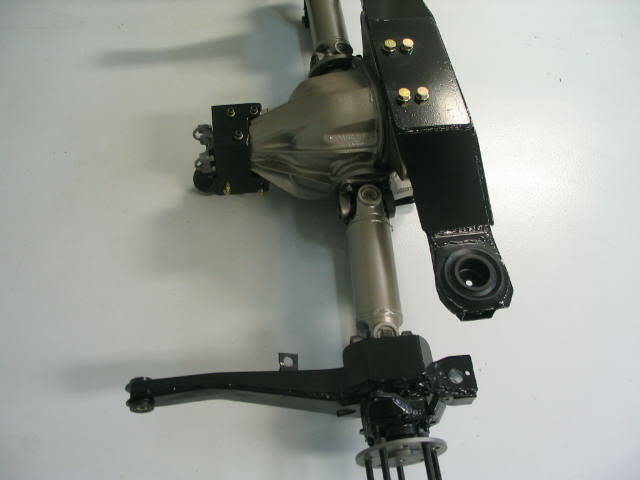 The truck 12-bolt axles are much more affordable than the car units because they are more plentiful but these units have fewer splines so they are not as strong as the axle in the car assemblies. In addition, the trucks typically have larger axles and brakes. Most passenger car 12-bolts used a four-bar trailing arm mounting system, with the exception of the Camaro and Nova, which used leaf springs. GM trucks from 1961 through 1967 used a two-bar trailing arm mount, while the 1968-up trucks used leaf springs. There is some crossover on the trucks, as some earlier trucks had leaves and some later trucks had the trailing arms. All GM 12-bolts use C-clip–style axles. Aftermarket 12-bolt housings are based on the passenger car design. The 12-bolt carriers also use the same series-specific system as do the 10-bolts; each carrier only works with certain gear sizes. The types are 2-, 3-, and 4-Series. The 2-Series is by far the most common. 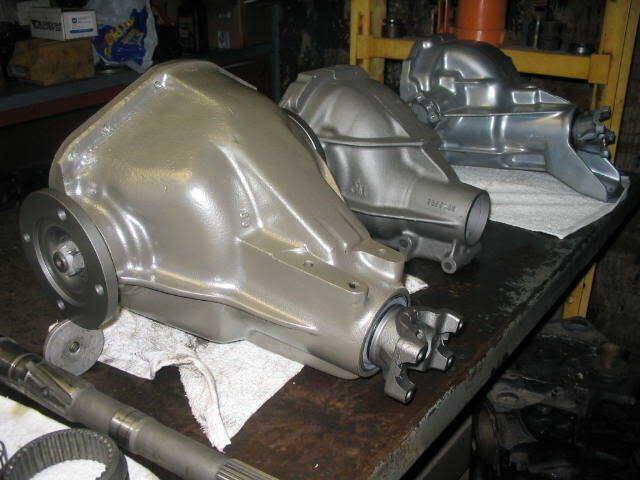 The casting numbers for the 12-bolt housings are typically found on the upper rear of the driver’s side of the center section. The casting numbers are simple to decode. The first letter is the month of the year; A is January, B is February, and so on. The next digit is the day it was built, and the last digit is the year it was built. For example, a 12-bolt axle that was built on March 28, 1967, is C287. 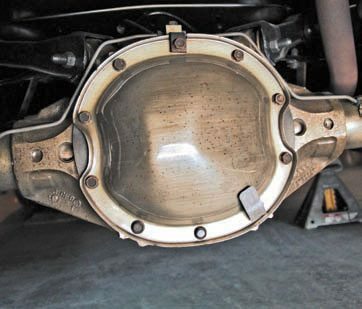 The Chevy 12-bolt axle assemblies for passenger cars feature an oval cover with a diagonal indentation. This is a 1969 Chevelle 12-bolt housing. Truck 12-bolts have an irregular cover with a ring gear pocket. This example is a 1967 Chevy C10. The truck housings are not as durable as the passenger car housings due to a narrower carrier and a smaller inner pinion bearing. On the passenger-side front tube, the stamped axle code designates either 1969-and-earlier units or 1969-and-later builds. 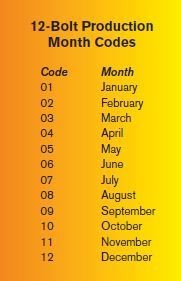 The 1969- and-earlier codes have two letters, then a four-digit number, followed by a letter, and possibly a shift number, for which 1 is the day shift and 2 is the night shift. And finally, a Posi-Traction number was used. For 1969 and later, the code typically features six to eight digits, including three letters, three numbers, and sometimes an additional number and letter. 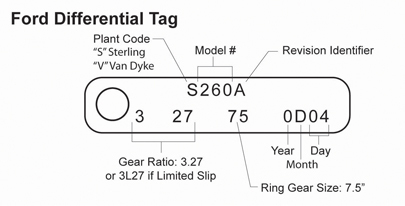 The first two letters indicate the gear-ratio code, the third letter notes the build plant, and three numbers designate the build day from 001 to 365. Sometimes the shift code is stamped, and if the unit has a Posi-Traction, you see a P stamp. I bought a used Frankland rear end for my 53 1/2 ton pickup. I took it to the Frankland factory in PA to have it rebuilt with Gleason locker and retubed with 12 bolt flanges to fit under my truck. They would not get axles for me. They told me to call Strange Engineering. I called Strange and explained to them that I needed axles to accept 12.88 Wilwood disk brakes. They told me that they could not help me until I filled out an online form. It wanted information I had no idea about such as axle diameter and bearing size. When I explained to them I had no axles to start with they were kinda rude to me. So I called the engineer at Wilwood (Erik) that I have been working with and he suggested I call Moser. It turns out that they are only 2 hours from my house. When I called Moser they said no problem and If I could get it there by 8am any day that they should be able to get it done by that afternoon. I loaded up the rear end and the brake kit so everything would be right and planed to leave the next morning at 6am. That night we had 4" of snow and freezing rain. It was almost 10am by the time I got there. When I backed the truck in to drop it off they discovered that Frankland had put the wrong flanges on and welded them on backwards, inside out. I asked them if they could fix it or send it somewhere to get it right. They asked me to wait a little while and they would check it out. At about 11am they told me they could replace the flanges and have me done around 3pm if I wanted to wait. So I went in town and killed some time. By 2pm they had removed the old flanges and welded on new ones. They had the axles done also. Then they took me out to the shop and installed one of the brakes to show me how they went. There were some bolts that the kit called for using existing bolts that I didn't have. They had the special flange bolts. Also the roter holes had to be enlarged for the studs. By 3pm I was on the road. They charged me an extra $100 for the flanges, bolts and extra labor. More than fair in my mind. In this day and age it is very seldom that I get this kind of service. I would highly recommend Moser for anything they do. of the materials and yoke and bearing size and resulting cost to build it from quality materials,increases. 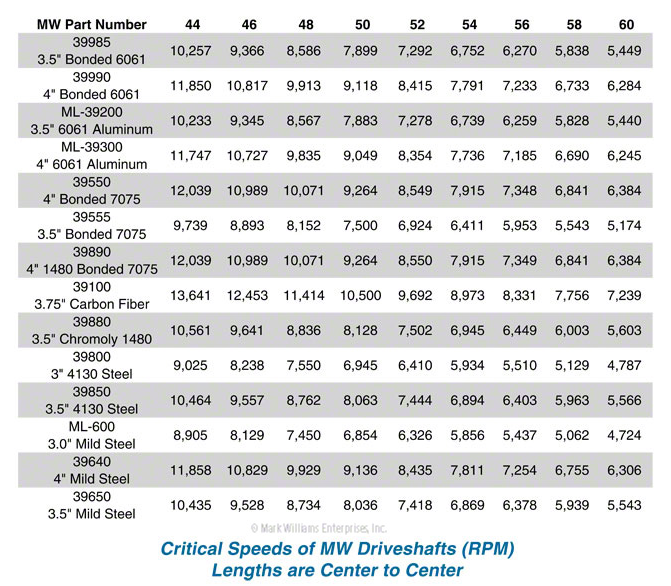 As you will see looking over the chart below,a 44"-60" increase in length , results in a very large reduction in the recommended rpm range, as the length increased,and its a big mistake to assume youll get by with inferior materials or workmanship or without having the drive shaft properly balanced. youll see few performance cars with two piece drice shafts but at times its required. 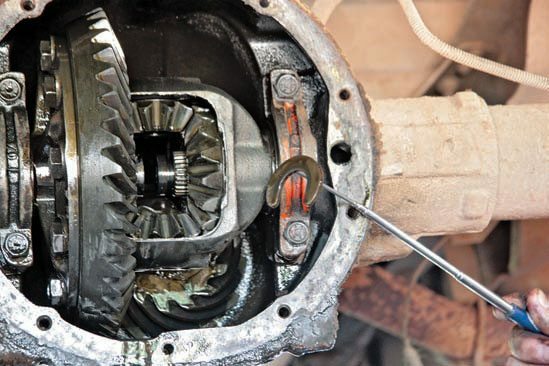 Operating angles in a driveshaft are the angles between the pinion, driveshaft and transmission centerlines. 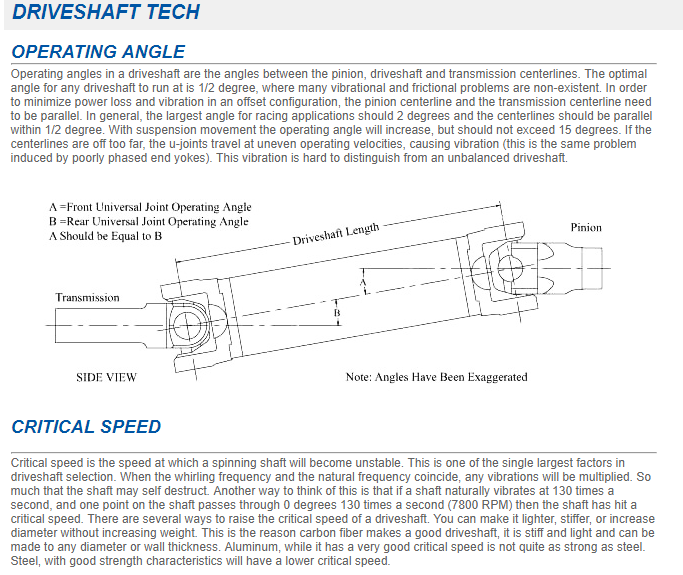 The optimal angle for any driveshaft to run at is 1/2 degree, where many vibrational and frictional problems are non-existent. In order to minimize power loss and vibration in an offset configuration, the pinion centerline and the transmission centerline need to be parallel. 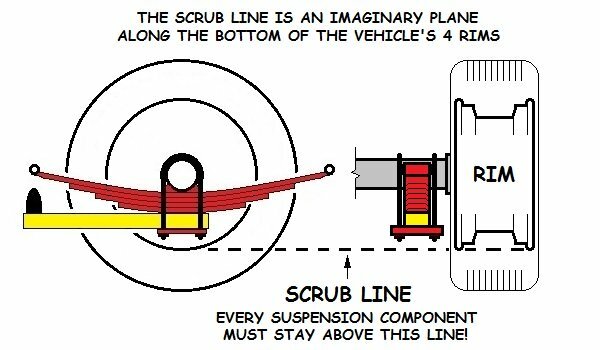 In general, the largest angle for racing applications should 2 degrees and the centerlines should be parallel within 1/2 degree. With suspension movement the operating angle will increase, but should not exceed 15 degrees. 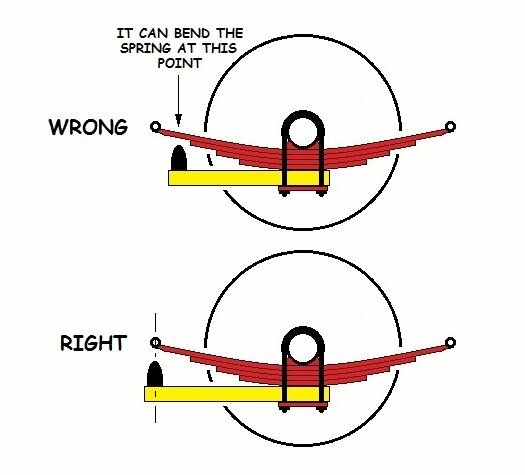 If the centerlines are off too far, the u-joints travel at uneven operating velocities, causing vibration (this is the same problem induced by poorly phased end yokes). This vibration is hard to distinguish from an unbalanced driveshaft. "I JUST DON,T GIVE A S^&^&& attitude if they can,t simply grab something off a shelf"
'67 to '70 Mustang/Cougar 6 cyl. '67 to '70 Mustang/Cougar 8 cyl. Note: All measurements are in inches unless otherwise noted. 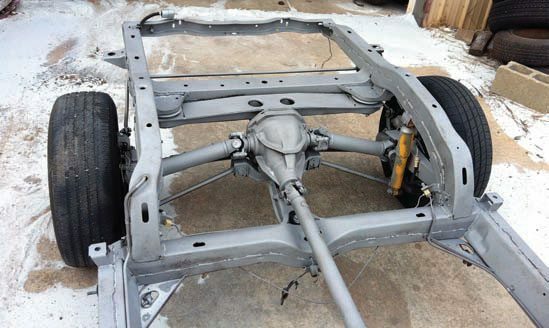 The first section will list wheelbase, front track and rear track of vehicles in inches, so that those interested in frame swaps or clip swaps can find the correct donor vehicle. 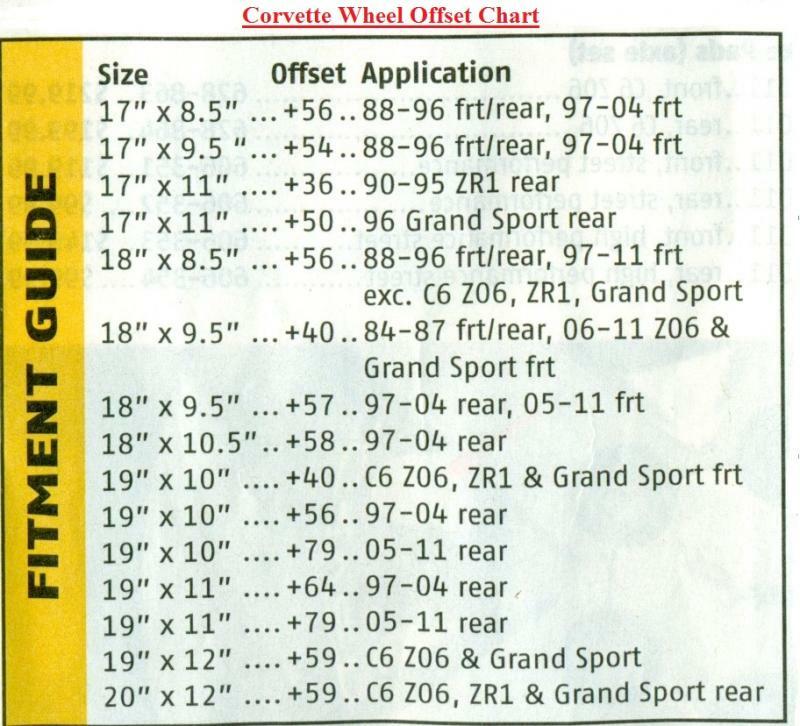 Dimensions will be listed left to right as wb/ft/rt followed by the year, make and model of the vehicle. For instance: 86.0, 50.6, 50.3 -- 1952 Morris Minor. If one or more of the dimensions are unknown, NA should be inserted in that space. For instance, if the wheelbase of the Morris were unknown, it would be listed as NA, 50.6, 50.3 -- 1952 Morris Minor. If the wheelbase were known, but the front and rear track were unknown, it would be listed as 86.0, NA, NA -- 1952 Morris Minor. 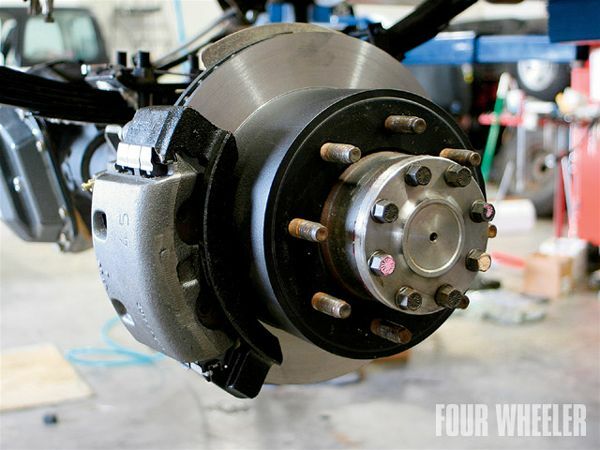 Most often, wheelbase is the dimension from the center point at the end of the front axle or spindle to the center point of the end of the rear axle. Note that the measurement could also be described as being between the center points of the circles described by the front and rear wheels on the same side of the vehicle. Track is the dimension from the centerline of the tire tread on one tire to the centerline of the tire tread on the opposite tire on the same end of the vehicle. E.G. : Front track or rear track. On vehicles with dual wheels, that measurement is commonly taken from halfway between the centers of each tire on both right and left sides. There are also "Inner track" and "Outer track" dimensions, measured from the center lines of the inner tires and the outer tires of the dual wheel axle. The second section will be listed as axle flange to axle flange where the wheel bolts on. Drum to drum would be close enough to the same if that's all the information you have to post. The only difference between the two would be the thickness of the material of the two drums or brake rotors/discs at the studs. The third section will list backing plate to backing plate on the rear differential. 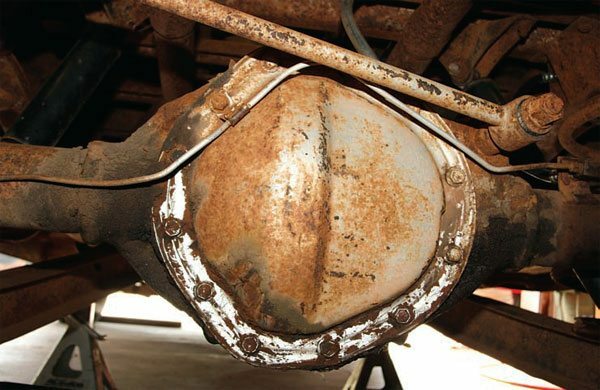 This information will require knowing the width of the brake drum to determine flange to flange dimensions. Find brake drum width, multiply X two and add that figure to the plate to plate dimension to get flange to flange. 100.5, 54.5, 54.7 -- 1983-'01 Chevy S-10 Blazer 2-dr., 1983-'01 GMC Jimmy 2-dr. Two wheel drive. 107.0, 54.5, 54.7 -- 1990-'01 Chevy S-10 Blazer 4-dr., 1990-'01 GMC Jimmy 4-dr. Two wheel drive. 122.9, 54.5, 54.7 -- 1983-? Chevy S-10 extended cab, '83-? GMC Sanoma extended cab two wheel drive. 122.9, 57.22, 57.22 -- 1983-? Chevy S-10 extended cab, '83-? GMC Sanoma extended cab four wheel drive. 122.9, 61.12, 61.12 -- 1994 - 2003 chevy zr2 extended cab, four wheel drive. F100 1/2-ton SWB - 110"
F100 1/2-ton LWB - 118"
F100 1/2-ton SWB - 114"
F100 1/2-ton LWB - 122"
F100 1/2-ton LWB - 128"
F100 1/2-ton SWB - 115"
F100 1/2-ton LWB - 129"
F250 3/4-ton Crew Cab - 147"
F350 1-ton Crew Cab - 152"
F100 1/2-ton LWB - 131"
F350 1-ton Crew Cab - 159.5"
F250 3/4-ton Crew Cab - 159"
F350 1-ton Crew Cab - 159"
F100 1/2-ton SWB - 117"
F100 1/2-ton LWB - 133"
F250 3/4-ton Crew Cab - 161"
F350 1-ton Crew Cab - 165.5"
F100 1/2-ton SuperCab LWB 6-ft. bed - 140"
F100 1/2-ton SuperCab LWB 8-ft. bed - 155"
F250 3/4-ton SuperCab - 140"
F250 3/4-ton Crew Cab - 155"
F350 1-ton SuperCab - 140"
F350 1-ton Platform/Stake - 161"
F350 1-ton Crew Cab - 166.5"
F100 1/2-ton SuperCab 6-ft. bed - 140"
F100 1/2-ton SuperCab 8-ft. bed - 155"
F350 1-ton SuperCab - 155"
F100 1/2-ton SuperCab - 155"
F250 3/4-ton SuperCab - 155"
F350 1-ton Camper Special- 140"
57.00 1974-1978 Mustang II 8"
63.40 1971-1974 8-3/4" B-body S.W. In searching the web I found the following links that have a massive of information on rear end widths and wanted to share. 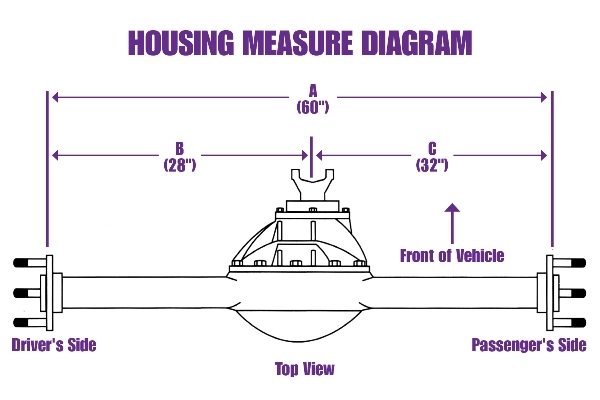 Guide for taking measurementsMost often, wheelbase is the dimension from the center point at the end of the front axle or spindle to the center point of the end of the rear axle. 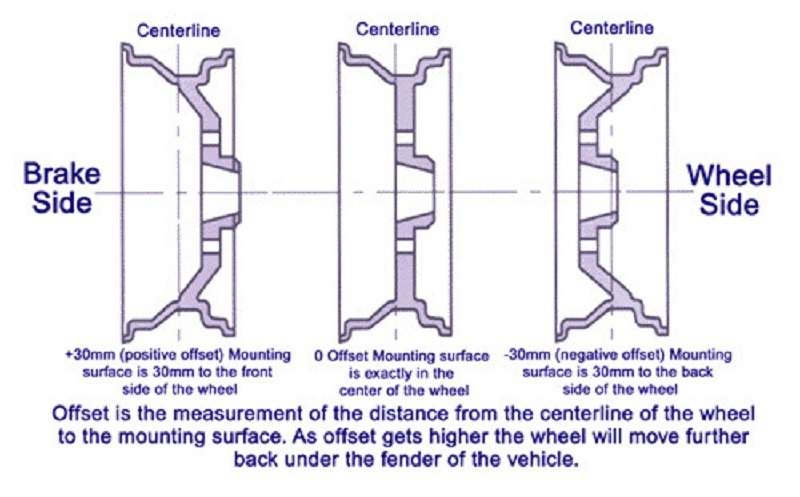 Note that the measurement could also be described as being between the center points of the circles described by the front and rear wheels on the same side of the vehicle. 100.5, 54.5, 54.7 -- 1983-'01 Chevy S-10 Blazer 2-dr., 1983-'01 GMC Jimmy 2-dr.
107.0, 54.5, 54.7 -- 1990-'01 Chevy S-10 Blazer 4-dr., 1990-'01 GMC Jimmy 4-dr.
56.50 1990-1992 Ford Ranger 8.8"
58.50 1993-2009 Ford Ranger 8.8"